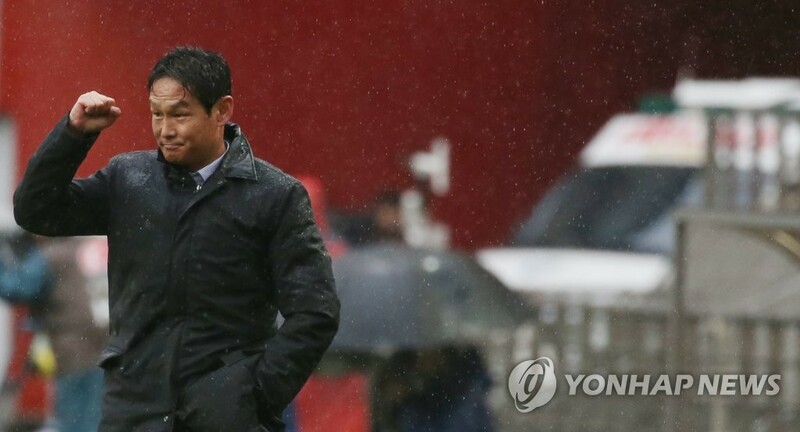 SEOUL, Oct. 11 (Yonhap) -- Struggling South Korean pro football club FC Seoul said Thursday they have rehired former boss Choi Yong-soo. Seoul said Choi will lead the club until 2021. The 45-year-old will make his Seoul return on Oct. 20 in a K League 1 match against Jeju United. After Hwang Sun-hong retired from the coaching job in April, Seoul were managed by caretaker Lee Eul-yong. Choi is considered a franchise star for FC Seoul. He made his pro debut in 1994, when Seoul were called LG Cheetahs. After playing in Japan, he hung up boots in 2006. Choi first led Seoul in 2011 as a caretaker manager. He was officially promoted to head coach the following year and led the club until 2016. Under Choi's guidance, Seoul did not miss an Asian Football Confederation (AFC) Champions League appearance. Seoul were runners-up at the top continental club tournament in 2013 and Choi won the AFC Coach of the Year award that year. Choi also led Seoul to win the Korea Football Association championship in 2015 and became the youngest head coach to collect 100 career wins in the K League in May 2016. He left Seoul for Chinese side Jiangsu Suning in the summer of 2016, but quit after just one season. He then worked as football commentator. Choi is tasked with revitalizing Seoul and restoring the club's reputation as one of the K League's powerhouses. This season, Seoul failed to secure a spot in the upper group of the split league, introduced in 2012, for the first time. Seoul are currently ninth in the 12-team league with eight wins, 11 draws and 13 losses with six matches remaining this season. The K League 1 operates a split system in which 12 teams are divided into two groups after playing 33 matches. The teams then play five additional matches within their groups.